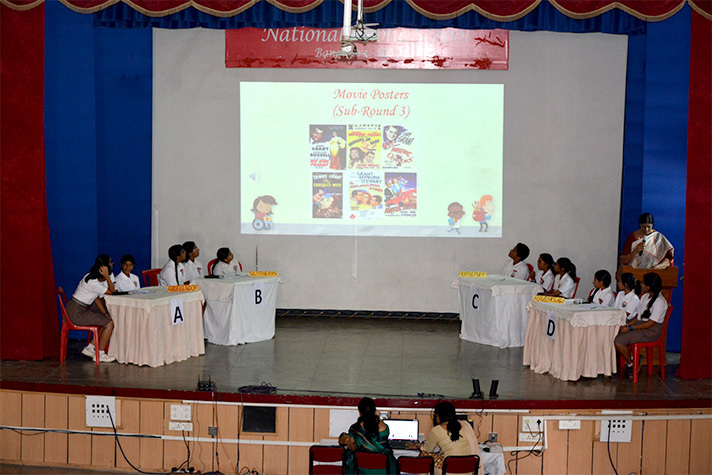 NPS Rajajinagar conducted their first literary quiz ‘Literati’ for the students of Grades 6 to 8 on 7th March 2018 in the school auditorium. The teams were named after the houses from Hogwarts, the school of magic, from the famous Harry Potter series, namely - Gryffindor, Slytherin, Hufflepuff and Ravenclaw. There were five exciting rounds- Movie Mania, World of Books, Wordly–Wise, Link-It( Connect round) and Hold Your Horses(the Rapid fire round). 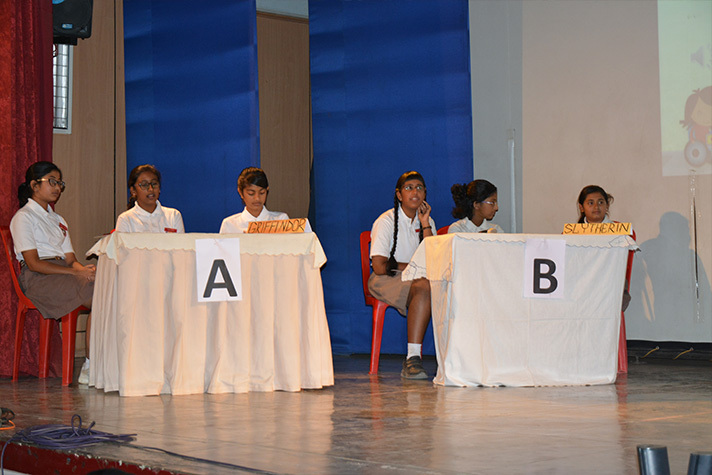 The challenging questions posed to the audience were received with great enthusiasm and they were thrilled to be rewarded with surprises for their correct answers. 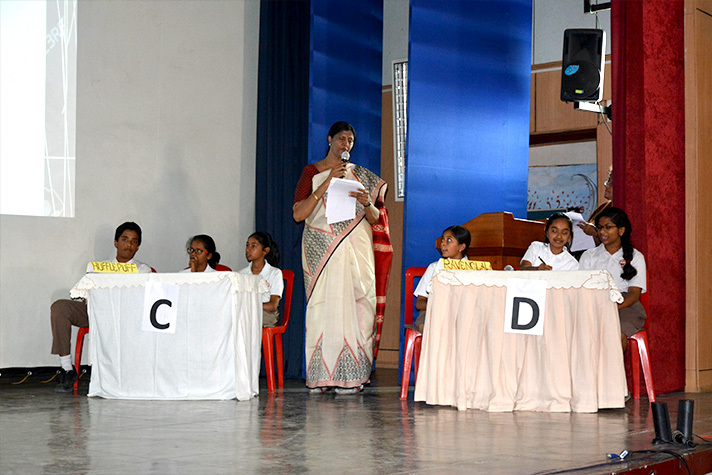 The content of the quiz, devised by the English Department, covered many aspects of the Language Arts and challenged the linguistic quotient of the teams. 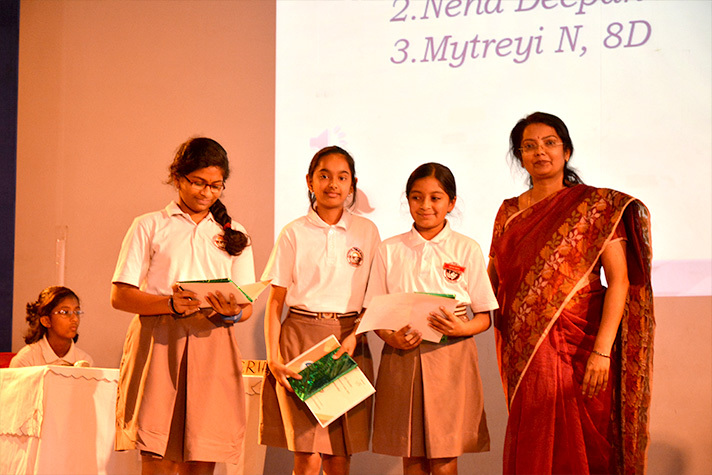 Team Ravenclaw comprising Anika U Bhat (6D), Neha Deepak Hemadri (7D) and Mytreyi N (8D) emerged winners. All the participants were awarded with certificates and a book.